Vegetables are an essential part of any healthy diet and are linked to numerous health benefits. Despite this fact, 7 out of 10 adults don't get the recommended daily servings of vegetables. So, how many vegetable servings should you have each day? Believe it or not, that number is at least 5*. Our goal is to make it easier for you to reach that number by offering a great-tasting lineup juices. V8® 100% Vegetable Juice is a delicious way to help get your number of vegetable servings up. This uniquely satisfying blend of eight vegetable juices, is vitamin-rich and helps you get 2 servings of vegetables in every 8-ounce glass for your balanced lifestyle. All this for 50 calories! 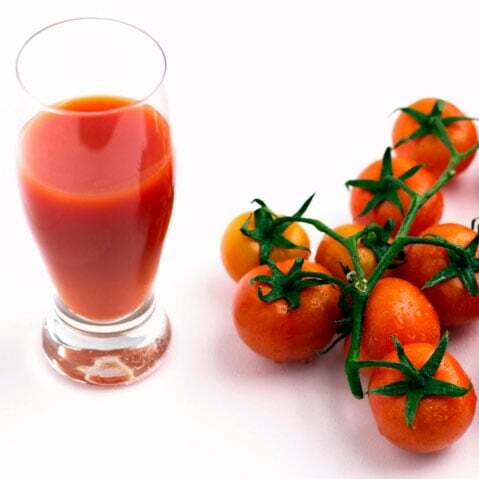 Tomato Juice: Love It or Hate It?